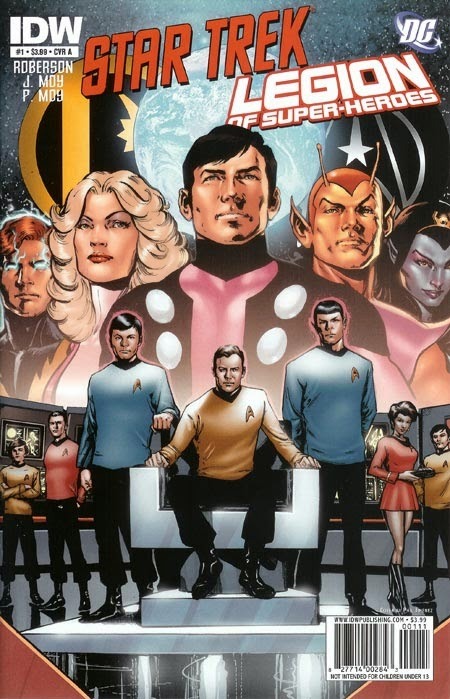 The crew of the starship Enterprise and the Legion of Super-Heroes find their worlds merged into one ruled by a tyrannical government known as the Imperial Planets. 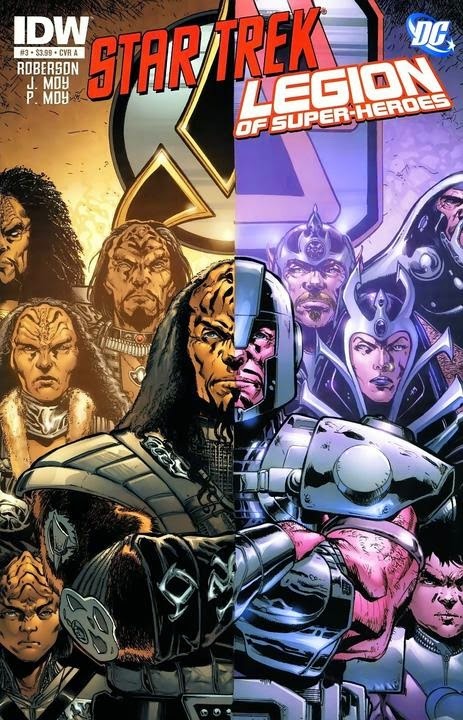 They find out that the ruler of this world is the man known in the Enterprise crew’s universe as Flint and in the Legion’s universe as Vandal Savage. A time-traveling Q was captured by the immortal caveman, diverging and combining both timelines. This story once again confirms that the DC Universe is an alternate reality to the CU. 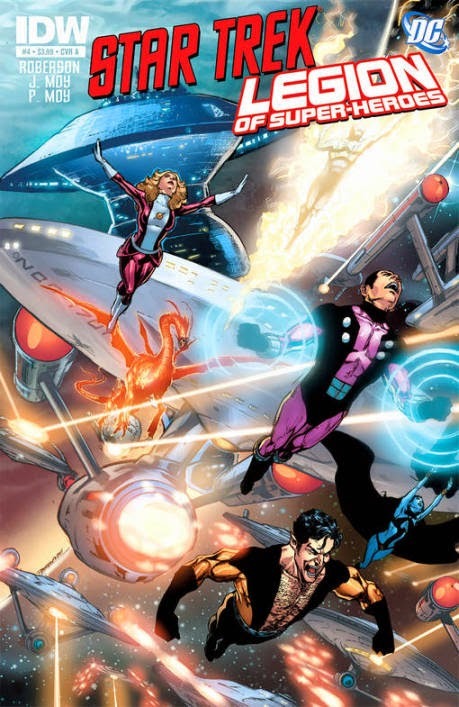 The Legion seen here appears to be the pre-Crisis on Infinite Earths version of the team, at some point after the “Great Darkness Saga” storyline. Vandar the Stone, as Savage/Flint is now known, shows his captives several time machines once belonging to those who tried to topple his empire. The time machines include: Lazarus’ capsule from the Star Trek episode “The Alternative Factor”; the Atavachron from the Star Trek episode “All Our Yesterdays”; Berlinghoff Rasmussen’s time pod from the Star Trek: The Next Generation episode “A Matter of Time”; an Epoch-class timeship from the Star Trek: Voyager episode “Future’s End”; the data disk from Enterprise; the Doctor and the Master’s TARDISes from Doctor Who; the phone booth from the films Bill & Ted’s Excellent Adventure and Bill & Ted’s Bogus Journey; the Rocket Sled from the film Timecop; the DeLorean from the Back to the Future film series; the Cosmic Treadmill used by the DC Comics superhero the Flash; the Lazarus Pit, the source of immortality for Batman’s foe Ra’s al Ghul; the Dagger of Time from the Prince of Persia video game series; a time bubble from the Legion of Super-Heroes stories; H.G. Wells’ machine from the film Time After Time; the stopwatch from the TV series Voyagers! 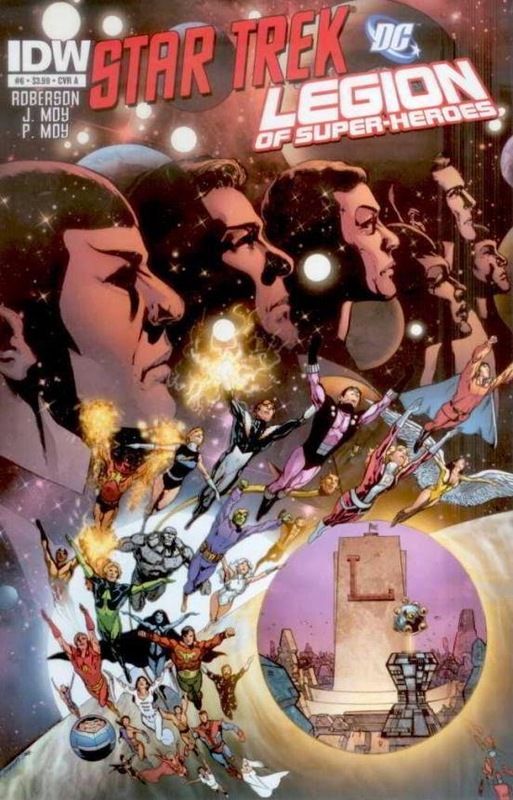 ; the time sphere from the DC comic Rip Hunter, Time Master; and the titular conveyances from the films Hot Tub Time Machine and Stargate, H.G. Wells’ The Time Machine, and the television series The Time Tunnel. Presumably, at least some of these devices existed in the CU and/or the DCU before Vandar altered time. Chris Roberson wrote one of my favorite Sherlock Holmes pastiches and a spin-offs of the comic book Fables that I enjoyed. The Time Machine from the Wells novels, the stopwatch from Voyagers, the Delorean, and the various time craft from the Star Trek series are undoubtedly in. I seem to remember some link to The Time Tunnel and I know that Stargate was in various Wold Newton articles but I don't know of any crossovers linking it. Doctor Omega is an alternate version of Doctor Who in the CU. Some of the other devices could be from other universe. In the Nightside novel PATHS NOT TAKEN, John Taylor said that the Authorities operated a Time Tunnel in the 1960s, which would suggest that they controlled the Project Tic Toc that created the tunnel in the TV series behind the scenes. I don't remember that, but given all the crossovers in the Nightside series it was probably easy to miss. I do remember that according to Crossovers one of the El Santo movies had the Mexican wrestler invent a time machine that supposedly looked just like the one from Time Tunnel. I think that was what I was what I was thinking of. 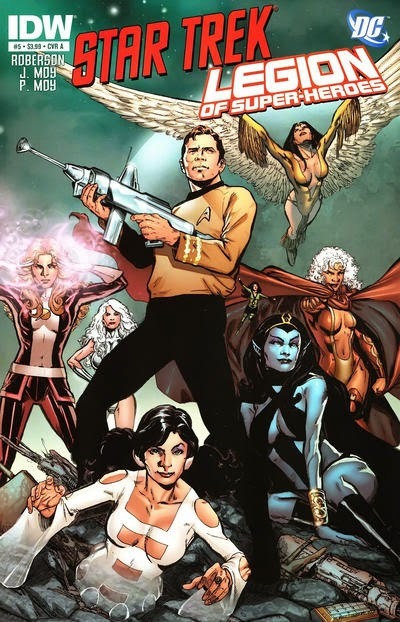 Christopher Bennett's just released Star Trek ebook titled "The Collectors" features a number of references you may want to document for the CU, as detailed in his annotations at http://home.fuse.net/ChristopherLBennett/DTICollectors_Annot.html. 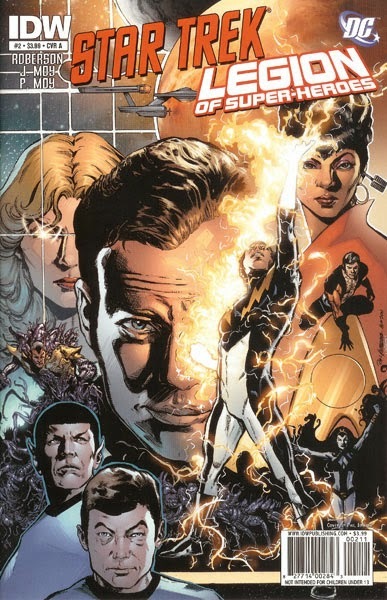 These include references to vortex manipulators from Doctor Who/Torchwood; Doctor Doom's time machine from Fantastic Four #5; the time kettles from Asimov's "The End of Eternity"; DC's Booster Gold; the quantum mirror from Stargate SG-1; the Doctor Who serial "The Time Meddler"; and a possible allusion to the film "The Time Bandits." And, of course, it's loaded with Star Trek references.